Fatgirl Hedonist: Fourth Annual BURGERLISCIOUS Is Back! 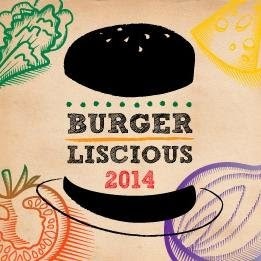 Fourth Annual BURGERLISCIOUS Is Back! The event that celebrates Coral Gables' burgers makes its way back to Fred B. Hartnett Ponce Circle Park for the fourth consequtive year. 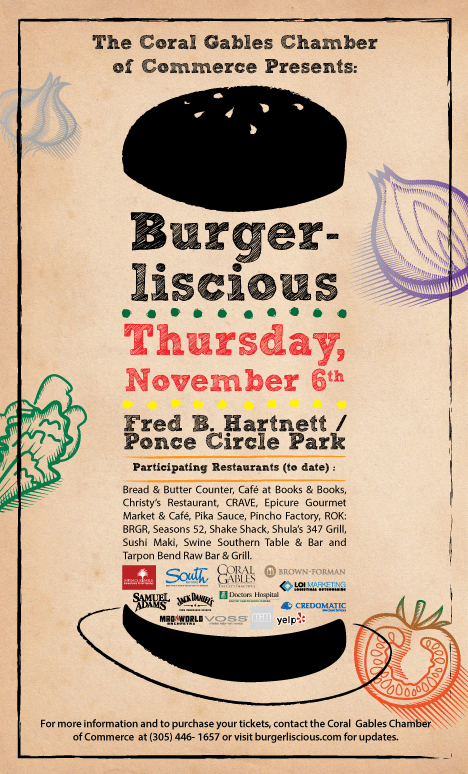 Burgerliscious is going down November 6, 2014 from 6pm - 10pm. Over 20 restaurants are expected to participate this year with confirmed restaurants so far consisting of Bread & Butter Counter, Café at Books & Books, Christy’s Restaurant, CRAVE, Pincho Factory, ROK: BRGR, Seasons 52, Shake Shack, Swine Southern Table & Bar and more. In other words, this is the kind of event you were stretchy pants, comfy shoes and a big purse to. General Admission tickets are available for $60 per person and includes 6 “slider burgers” and 2 Samuel Adams beers. VIP tickets are $125 and include unlimited “sliders”, unlimited Samuel Adams beers, early admission, VIP tent pass and commemorative stein. You can buy your tickets here. Be sure to check out the Burgerliscious social media outlets (here and here) for updates on new participating restaurants, deals and new information on the event. I first though the initial buffet line at New York events was it, then came back to my table to realize there was a whole other section on the other side serving other "special" items.